My best wishes and GOOD LUCK!!! Getting 1,000 miles from 11.9 gallons normally requires an average of a little over 84 MPG. My target is to achieve a sustained 90 MPG before making the attempt. I started cold today and drove 62.4 miles for a before / after calculated 103.3 mpg for that segment. I know that I cannot maintain that for another 540 miles, but if I could, I would end up with a 92.x ish mpg tank. We shall see. Good luck with your endeavor! Do you have another vehicle you can drive if the weather gets crappy? Rain or cold will kill your tank. 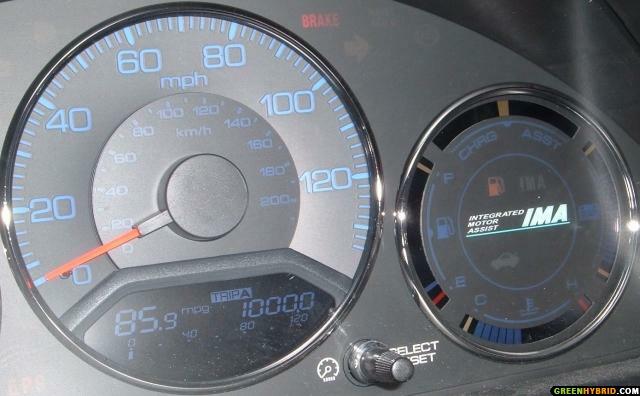 I got lucky with a long hot dry spell and made it 1005 miles on 12.3 gallons in my "mild" Honda Civic Hybrid. Most of the driving was at 40-45 mph or so but at times I was just barely crawling over the tops of some hills. I just don't remember if there is a minimum speed on the Chesapeake Bay Bridge Tunnel. Nice segment! I assume you based this on the MFD before and after your segment for MPG and used the trip A or B before and after to calculate the 103.x segment. Or do you have a scan gauge or other instrumentation? Any way good luck! I have managed 83.x over a tank last Sept and pulled off a shorter 103.x segment, but I don't think I'm in quite the same league as you. I have thought about getting a SGII, but I am simply trying the best I can with before and after mpg readings and doing the math to figure out segment mpgs. I don't think it is being fair to yourself to say that you are in a different league. There are a host of variables (including driver skill) that comes into play. As many others have proven (bob wilson); slowing down increases the fuel economy of this car. The trick between where I think Bob wilson is and where I stand is that I am trying to apply this to roads with many other cars; stop lights, and stop signs over 50 miles a day rather than over a closed course. If I had the patience and time; I could go knock out a 1200+ mile tank; but can I drive by myself in a closed loop for 50 hours straight. No way. I have to go to work. I am a dad of one and within three weeks the second will be here. I have been passed by a kid on a skateboard when coasting to a stop sign. Do you have that luxury in your commute where you can slow down; maybe not. I have just under 10000 miles on my car. I went through a cold winter without blocking the grill of my car. You will be in a league of your own when you and only you fully understand your commute and find ways to maximize your segments. 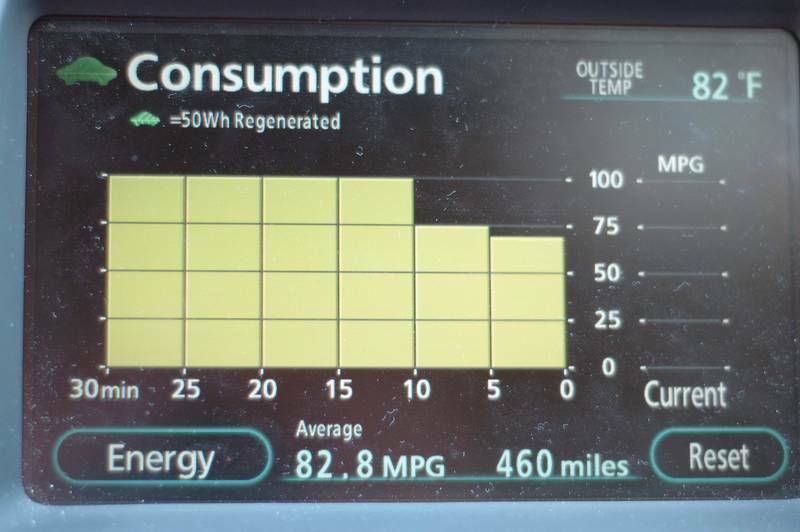 Like teddygirl in Japan; if I had a 15 mile commute where I could average 25 mph with little traffic and few stop signs, you would be hearing me talk of 90+ mpg tanks. I might just do a mini marathon by myself to prove this point. Congrats, Chris. Stay with it. Flag, Barker or Priority? Thanks. Priority. They gave me $1000 less than MSRP when $500 below was considered good. If I had the patience and time; I could go knock out a 1200+ mile tank; but can I drive by myself in a closed loop for 50 hours straight. No way. I have to go to work. . . . I've been thinking about this and it may be as simple as "taking the long way" to and from work. The bulk of the fuel burn is in the first 5 miles. It may be possible to 'extend' the morning and evening commute with just enough laps to bring the average up to the threshold. For example, my work commute is 10 miles. However, I might be able to tag an extra 10-20 miles at peak efficiency speed and bring the total average up to something that would work. The key is getting the car through the warm-up as quickly and efficiently as possible. Using a block heater, transaxle heater and thermistor hack, this should be entirely possible. But it would be more interesting to determine what is the optimum 'warm-up' profile. The other technique is to tickle-charge the traction battery to 80% (actually 78%) of peak. This is a trickier technical problem but IMHO no more or less valid than pre-heating the block and transaxle.